We are pleased to have nationally recognized artist Lois Wolford, a prize winning artist, teacher of workshops, demonstrator, juror and signature member of the National Watercolor Society. Her paintings have been published in L’ Art De L’ Aquarelle Magazine and can be seen in the December issues of 2011 and 2016 and in Watercolor Artists December issue of 2016. 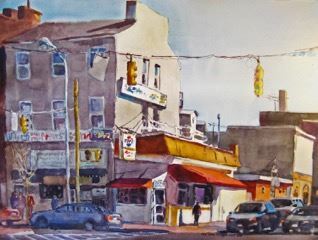 She is a past Workshop Chairman, Board Member, Mid – Atlantic Exhibition Chairman and life member of the Baltimore Watercolor Society. She currently serves as Vice president for BWS. Lois is a painter of watercolors and acrylics. She has works in both private and corporate collections in the US and abroad. 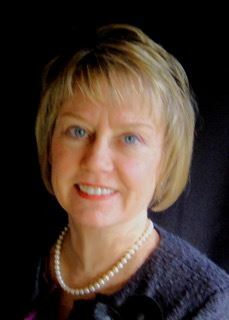 Her paintings have received many awards and have been in National and International Exhibitions including the National Watercolor Society- California, the Georgia Watercolor Society, the Adirondack Watercolor Society, the Philadelphia Watercolor Society, the USA Watercolor Society-Missouri, the Mid- Atlantic Watercolor Exhibition and the North American Miniature Show- Maryland. Lois is known for her use of color to create mood in her paintings. She paints figures, still life, landscapes, and interiors. Her figure paintings are of people involved in conversation and suggest a voyeuristic point of view. Lois’ still life, landscape and interior paintings aim at capturing a moment in time and tell a story. In this workshop we will explore the virtues of painting on a wet page with large brushes in order to loosen up the painting. The wet page keeps the painting from becoming too precious too early. In the beginning you will find this method helps achieve a variety of soft edges. The paint to water ratio changes as the painting progresses. As the paper begins to dry, edges can be sharpened, while still keeping your shapes simplified. When you paint, think shapes not objects. Come to class with both a black and white and color photo reference. It can be a cityscape, landscape or still life. The drawing should be completed on your 140lb. watercolor paper. Simplify and draw the major shapes. Registration Deadline: April 22nd unless the program is full prior to this date.